Chuwi has reached out to let us know that they are releasing a couple of new products soon. In a big move from the low-cost laptop maker, they are moving up several steps on the performance ladder with these new models which will both feature the Core m3-6Y30 processor. Previously, Chuwi has relied on the less-expensive Intel Atom lineup, most recently with Gemini Lake, so this is a significant departure for the company, and should be exciting to see in the market. 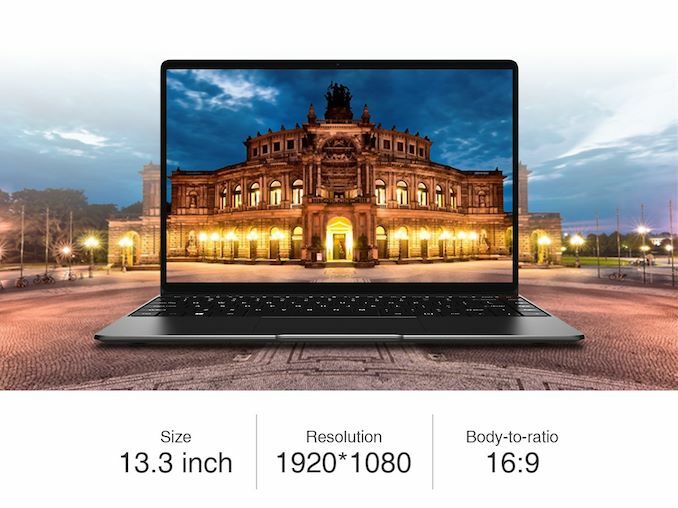 Chuwi’s first Core M powered laptop will be the AeroBook, featuring a 13.3-inch 1920x1080 IPS display with 5mm display bezels, offering the modern look of a thin-bezel laptop. Since shrinking the display bezels shrinks the total size of the laptop, the company has also moved to a micro-bezel keyboard allowing them to keep their full-sized keyboard experience in this smaller chassis. The main attraction though is the CPU. Intel’s Core m3-6Y30 offers a 2.2 GHz maximum frequency for the two cores and four threads, in a 4.5-Watt power envelope. This should offer a significant performance boost over Atom based Celerons that Chuwi has leveraged in the past, especially in the graphics department where the Skylake based Core m3 offers 24 Execution Units, which is twice what is offered on Atom. Chuwi is offering 8 GB of LPDDR3 on this notebook, and 128 GB of storage. The company also says you can upgrade the storage to 1 TB, which likely means there will be a user-accessible door to add in a SSD, much like their previous models. The laptop weighs in at just 2.76 lbs, and is 15 mm thick, meaning it is also very portable. The company is rating the battery life as up to 8 hours, but that’s likely ambitious. 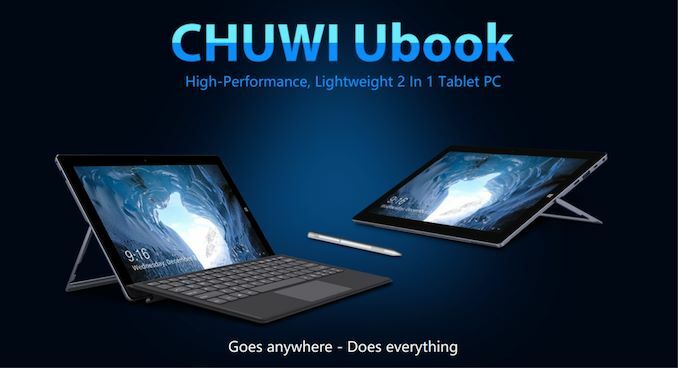 Chuwi is hoping to launch the AeroBook in March for around $499. The second model is the Chuwi Ubook, which is a 11.6-inch convertible tablet, also powered by Core m3-6Y30. As usual, Chuwi offers a lot of value with their products. In addition to the Core M processor, the tablet will ship with 8 GB of LPDDR3, and 128 GB of storage, and there will be a 1 TB model as well. There’s plenty of expansion for IO as well, with two USB-A ports and a USB-C port, along with a headset jack, HDMI, and microSD. Unfortunately charging looks to be a 3.5mm barrel plug, and does not use the USB-C connector. The kickstand is a U-shape, hence the name, and there is infinite adjustability here from 0 to 150°. A 30 Wh battery is rated at up to 9.5 hours, although again that seems ambitious. The display has pen support as well, and Chuwi is shipping this device with the detachable keyboard at no extra cost. Chuwi is targeting a price of around $469 for this model, which dramatically undercuts something like the Microsoft Surface Go, which offers a less-powerful platform, less RAM, less storage, and no keyboard at its base price of $400. The 1 TB model is targeting $699. Both the Ubook and AeroBook look like very interesting devices, plugging a bit of a hole in the market where there’s not a lot of good options in the $400-$600 range. We’re hoping to get some hands on these when they launch and take them for a spin. I do think they provide a lot of value for the money which is why I tend to recommend them. Every quarter for the guide I try to find something else that competes at the same price point and there is not a lot out there - especially by the bigger PC makers. That being said, and I've told the company this before, as they creep up in price by providing more performance, storage, or whatever, the compromises they made to hit $200 or $300 start to become more glaring if they don't address them. It's one thing for a $200 laptop to have a poor trackpad and really need a USB/Bluetooth mouse, but another for a $500 machine to have the same issues. I'm fed up with 768p displays in Windows - after the Windows taskbar, application menus/ribbons take their place, you are left with a slit where the application can do its work. But on the other side, I'm not entirely sold on 1080p displays (1600x1200 is so much better in Windows productivity applications). However, 1080p on a 13-14" screen makes everything small enough that higher resolutions are dubious. These are so close to being _really_ attractive that their glaring faults stand out all the more. That's frustrating. -No USB-C. In 2019, that's a deal breaker. -Charges through a barrel jack. A thin one, which means it's easily broken, and due to not being USB-C, difficult to replace. Yes, there are universal chargers, but they're almost universally clunky and annoying. - Micro HDMI is an absolutely useless connector, having too weak a latching mechanism and too short a plug to stay properly attached. The vast majority of HDMI cables are thick and quite heavy, after all, and the port simply doesn't stand up to its intended use. - A 16:9 display is disappointing on something so clearly aiming to emulate a 16:10 Mac, but I suppose that's down to panel cost and availability. Would be okay if the laptop didn't have poor I/O. - It's a 16:9 tablet. Ugh. - Again, Micro HDMI. Ugh. - It has USB-C, but not for charging. Why? There are off-the-shelf USB PD sink setups available that take up just a few mm2 of board space and automatically negotiate voltages and everything else needed, at very low prices. 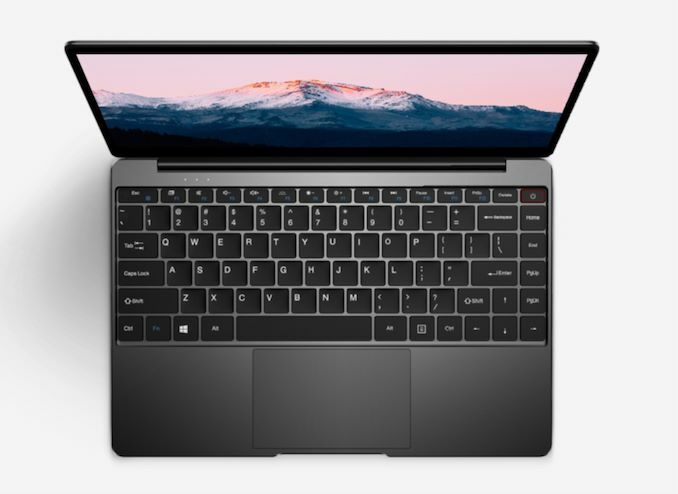 Shame about the lack of USB-C on the Aerobook, but $499 isn't a bad price.